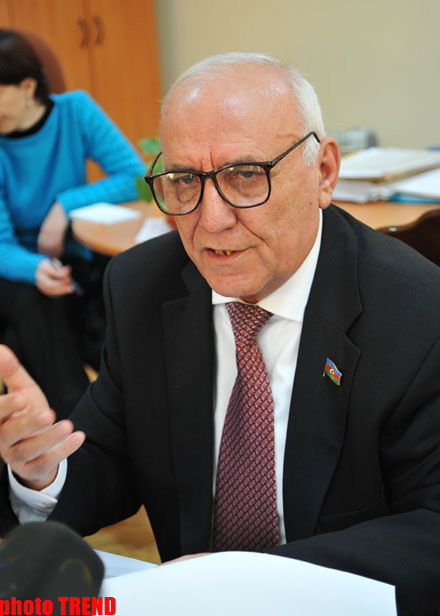 The secret document argue that Armenian nationalist Stepan Shaumian was a member of the Baku Committee of Armenian Revolutionary Federation (ARF) Dashnaktsutyun Party, said Yagub Mahmudov, the Director of the Azerbaijani National Academy of Sciences' (NASA) Institute of History. According to him, the archival material on the activities of the 26 Baku commissars were discovered the secret telegrams and documents showing that, after Sept.20, 1918 - the day of the shooting of the Baku commissars - surviving Shaumian kept in the Krasnovodsk prison, receiving rations and 17 rubles for 10 days. The new material collected in Makhmudov's book titled "Genocide against Azerbaijanis in March 1918."